As the market starts to slowly recover and we are seeing positive signs of growth. What does that mean for us as investors? Well, it means that now is the time to sell our fixed income investments and buy into growth investments. Fixed income investments such as bonds move in the opposite direction of the market as a whole. Therefore as interest rates drop, bond prices rise; and as the market increases, bond values drop. Bonds should always be an investment portfolios focus at the first signs of trouble in the market. If there is any indication of a potential market crash fixed income should take priority. I am in no way advising investors to try and time the market. Our portfolios should always remain balanced and diversified but minor changes can be made to try and achieve the maximum potential returns. If you are not interested in following the market or watching Mad Money then keep in contact with your personal investment advisor at least 4 times a year to make sure that your investments always remain within your goals. Growth investments do not always mean high risk investments. Just like any investment there are different levels of risk among growth investments. Of course none of these investments are ever guaranteed. Preferred Shares are a hybrid growth investment. If Bonds and Stocks had an investment child it would be Preferred Shares. They are stocks in a company that may offer a quarterly dividend similar to stocks but they are also ranked according to their quality, just like bonds. Dividends to preferred share owners are paid out prior to common share owners and this is one of the reasons why they are preferred. Blue Chip Stocks are another type of growth investment. They are also considered by some as low risk because they invest in large corporations who have a proven track record for at least 25 years. Examples are McDonalds Restaurants and Coca Cola. 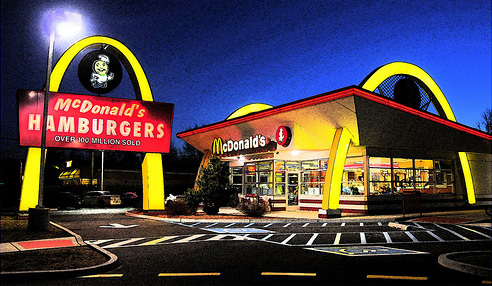 Yes as an investor we are taking risk buying stocks but is there really a risk when investing in McDonalds? That is the mentality of many blue chip investors. We can even lower the risk of blue chip investments through buying a blue chip mutual fund instead of buying a single stock. This eliminates the risk of “all your eggs in one basket”. A blue chip mutual fund will buy shares in several companies as opposed to investing in just one that we may buy on our own. Value stocks or value mutual funds invest in companies that the stock broker or fund manager perceives are currently under-valued in anticipation of large future growth. This means that the stock may currently be trading at $15 per share but it should be at $25 per share, according to the broker or managers research. Therefore, once the market catches up there will be potential for large gains. However, there is always the risk that the stock broker or fund manager is wrong. Therefore the stock is valued as it should be on the market and there will be no spike in future growth. Investing in the stock market can also be a personal choice. I mean, if you want to buy into a large food chain who is to say that McDonalds is better than Burger King? I would buy Coca Cola before I buy stock of Pepsi Corporation because as a consumer I hate Pepsi and I always drink Diet Coke. Growth stocks and mutual funds are currently a great place to be. It is not so important which individual companies you buy as it is to which type of growth investments are best suited to you as an investor. Previous post: DINKS: Smart or Selfish?